A well-known international manufacturer of Turbo systems has a manufacturing operation in Bradford where turbo shafts are manufactured using multiple machining operations carried out on different machines. 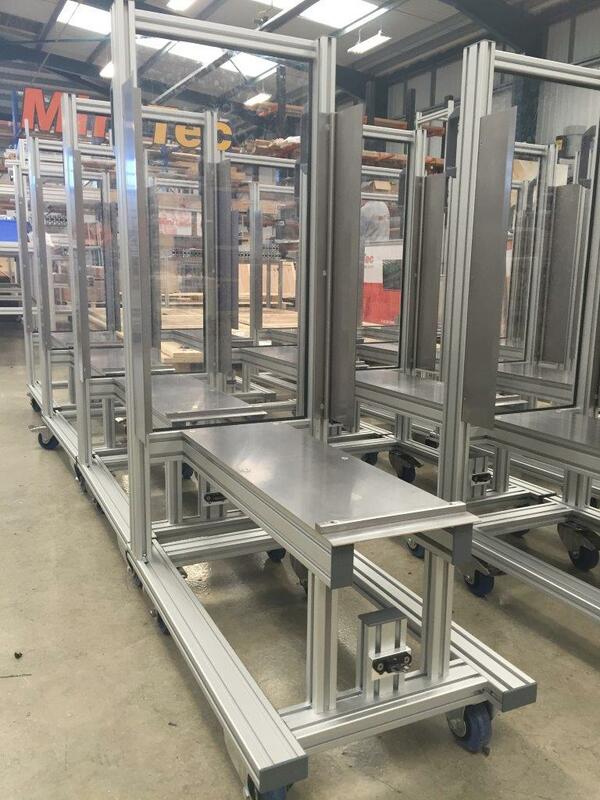 MiniTec designed and assembled 16 of these trolleys for the customer using its 30 x30 aluminium profile system. Each trolley can carry up to 8 trays of parts with a maximum weight of 60 Kgs – a simple solution to a potentially costly and time consuming handling issue.